AUSTIN, TEXAS – Texas Gas Service (TGS) has joined the Texas Energy Poverty Research Institute (TEPRI) in its mission to find permanent energy solutions for vulnerable, low-income populations in Texas. TEPRI is a powerful community of low-income and energy stakeholders dedicated to creating a world with accessible and sustainable energy for everyone. TEPRI collects actionable data that utilities and industry partners can utilize to develop sustainable solutions that cost-effectively mitigate the home energy costs of low-income energy consumers across Texas. 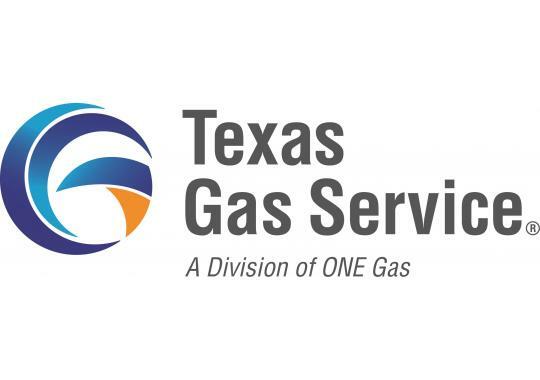 The third largest natural gas distribution company in Texas, TGS, prides itself on providing safe, clean, and reliable service to more than 644,000 Texans. Combining TGS’s trustworthy services with TEPRI’s diverse association of community stakeholders, TEPRI is one step closer in creating a world where everyone has access to sustainable energy. TEPRI dedicates all their efforts to improving the quality of life for vulnerable Texans by learning how to better understand and address energy and fuel poverty in Texas. Energy efficiency, conservation and renewable technology opportunities are designed to address the specific needs of low-income communities to help reduce energy usage and the financial impact it has on them. TGS Energy Efficiency Programs Manager, Hayley Cunningham, believes that by joining TEPRI, she can learn more about the energy challenges low-income communities face and how energy efficiency programs can most effectively play a role in its relief. TEPRI strives to ensure that energy solutions are inclusive of the 37% of Texan households that fall below 200% of the federal poverty guideline, which equates to $48,600 for a family of four. TEPRI’s coordinated, transparent and readily accessible research findings inform both market-based solutions and public policy, and have a lasting impact on low-income households. Texas Gas Service is the third largest natural gas distribution company in Texas, providing safe, clean and reliable natural gas to more than 644,000 customers in 100 communities. Texas Gas Service is a division of ONE Gas, Inc. (NYSE: OGS), a 100-percent regulated natural gas utility, and trades on the New York Stock Exchange under the symbol “OGS.” ONE Gas is included in the S&P MidCap 400 Index, and is one of the largest natural gas utilities in the United States. Learn more: www.TexasGasService.com and follow us on Twitter @TexasGasService or Like Us on Facebook at Facebook.com/TexasGasService. TEPRI was founded by former Public Utility Commission of Texas Chairman Becky Klein in 2015 with the goal of bringing together a diverse collaboration of community stakeholders to work toward generating solutions to solve energy problems. By studying and sharing what is working across the country, the institute spreads best practices in energy conservation, efficiency, and reducing energy burdens. Members of TEPRI are leveraging resources to spearhead innovative and in-depth research at the nexus of energy and poverty.